Mark your calendars, Tesla Inc. production workers. Elon Musk is planning to pay a visit. The chief executive officer wrote in an e-mail to staff Nov. 15 that he will walk the entire Model 3 production line Nov. 27-28. From battery cells to finished vehicles, all assembly areas need to be able to support making 1,000 cars per day, Musk said. The e-mail shows Musk, 47, continues to cast himself for a hands-on role in boosting the number of batteries and cars Tesla can manufacture. Production progress was a major factor in the company’s surprise third-quarter profit, as higher output enabled Model 3 to became one of the top-selling sedans in the U.S. market. 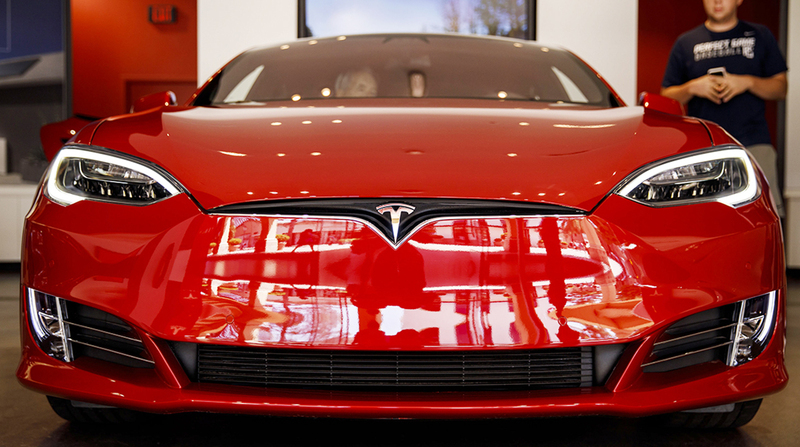 Tesla slipped 0.8% to $345.60 Nov. 16 in New York, before the start of regular trading. The shares are up 12% this year. Musk said during an earnings call last month that he saw a path to manufacturing 7,000 Model 3s per week with minimal capital expenditures, but didn’t give a time frame for when the company would achieve that rate. “Last quarter was great, but now we need to prove financial sustainability,” Musk wrote in a separate e-mail to staff. Tesla needs to produce 1,000 Model 3s a day on a sustained basis in the next few weeks to achieve “a financially healthy quarter,” and then the company will keep increasing output in early 2019 as it starts shipments to Europe and Asia, he said. Tesla representatives declined to comment. The blog Electrek reported on one of Musk’s e-mails earlier Nov. 15.